What is something that every vehicle has and and uses on a daily basis? Brakes. But even though North Canton, Ohio and Massillon, Ohio car owners are aware of just how important these parts are to their vehicles, they still don’t have them checked out as often as they should. Neglecting your brakes can lead to major complications in your vehicle and even cause an accident on the road! Yikes! So instead of ignoring the squeaking, groaning, or grating noise that your automobile is making, it’s most definitely a good idea to stop by your local Meineke in Canton, Ohio. This professional car center can provide the inexpensive brake service your vehicle needs at a price you’ll appreciate! If it’s about time that your car receives brake maintenance or replacement, then Meineke can offer the quality work you’d expect to receive from this well-known company. It’s a hot summer day and your radiator is overheating. You’re stranded on the side of the road, the hood of your car swallowed by a cloud of smoke. We’ve all seen this picture, whether we have lived it, seen it in person or watched as a horror movie opens with this scene. When your car breaks down, it’s not only inconvenient; it also leaves you in a very vulnerable position. Radiator overheating is one of the most common reasons cars break down, meaning that proper radiator maintenance should be high on your priority list. Radiator repair can be costly if you go to the wrong place. Wales Auto Repair can help anyone in the Canton, Ohio; North Canton, Ohio; or Massillon, Ohio areas get back on the road. Like the vast majority of those living in the North Canton, Ohio and Jackson Township, Ohio areas, you probably have a fairly hectic schedule. Between your day job and responsibilities at home, it can be hard to find the time to breathe, let alone anything else! But the problem with having such a long list of daily activities is that things often slip through the cracks—such as regular car maintenance. Even though most of us drive our cars every day, we tend to forget about any car-related tasks beyond filling up the gas tank! 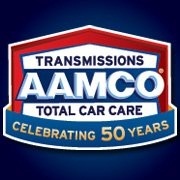 Well, now is the time to make room in your schedule to visit AAMCO Total Car Care in Canton, Ohio. Conveniently located in the Belden Village area, AAMCO Total Car Care will provide the car tune-up you need to keep your vehicle in prime condition. 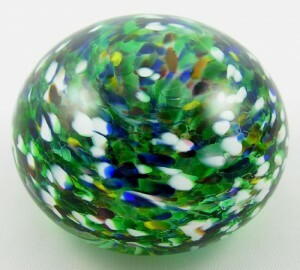 Canal Fulton Glassworks near Massillon, Ohio Offers Bead Making and More! Have you always wondered how glass art pieces are made? How the glass is shaped into such curious designs? How the artists incorporate so many bright, vivid colors into their work? Well, it might be time to take up a fun and unique new hobby! That’s right, not only can you learn about the craft, but you can take a stab at this amazing art form by signing up for one of the various workshops at Canal Fulton Glassworks! Just minutes away from both Massillon, Ohio and Alliance, Ohio, this hot glass studio in Canal Fulton, Ohio offers classes in bead making, custom pendant creation, and glass paperweight production for those who are interested! What does your Canton, Ohio backyard or deck look like right now? A little bare? Lacking the proper furnishings or forms of entertainment? Then it is time to invest in a new swimming pool and patio set to bring fun and relaxation to your home! What’s even better is that it’s not the overwhelming financial investment that you fear. At least, it’s not when you visit your local Ohio Pools & Spas. That’s right! The End of Season Clearance at Ohio Pools & Spas is here once again! During the first two weeks of September you can take advantage of their above ground pool sale and countless outdoor furniture deals for your Cleveland, Ohio or Akron, Ohio home. Interested? Then read on to find out more about the amazing savings you can find at Ohio Pools & Spas in Northeast Ohio! Are you the proud owner of a brand new business in Warren, Ohio or Youngstown, Ohio? Congratulations! All of your hard work and dedication has led to this exciting moment! Now all you need to do is spread the word of your burgeoning company throughout the Trumbull County, Ohio area. Unfortunately, you’ve hit a snag in your grand opening plans. As a new business, you really don’t have any extra funds for a fancy billboard or television commercial. So, what can you do? Fortunately, Sign-A-Rama Canton can provide cost effective advertising for your establishment! This popular company supplies all sorts of unique advertising products to business owners just like you! With Sign-A-Rama Canton, you can get the flag display or custom vinyl banner you need to catch the attention of passersby and let them know that you welcome their patronage! There have always been some companies that are merely in business to make money. That’s all. Not only do they refuse to take part in any area activities, but they don’t offer additional help to their customers either. Fortunately for its clients, Vern Dale’s Water Center is on the other side of the spectrum. This Canton, Ohio water treatment company has been offering its assistance to individuals and groups around Minerva, Ohio and Plain Township, Ohio for years now! Vern Dale’s is proud to support the community and surrounding region in any way it can. That’s because this is one company that truly cares about the well being of the entire area. From participation in service projects to providing sponsorship to local organizations, Vern Dale’s work isn’t limited to water treatment by any means. While it’s nice to have dinner at a restaurant with friends and family, sometimes it can be a little…well, dull. More often than not, you’re stuck with a bland meal that you could have made at home. Plus, your exciting group outing may turn into a dud if you’re forced to listen to elevator music all night! Rather than spending another boring night out at some ordinary eatery, why not try something new and exciting? A1 Japan Steakhouse in Canton, Ohio offers dinner entertainment for people of all ages! When you bring your clan to this Stark County, Ohio establishment, you can try all sorts of Japanese dishes, as well as their popular hibachi dinner entrées! Are you a second away from screaming in frustration and smashing your monitor with a hammer? Or do your computer problems have you in a seemingly permanent state of annoyance? Oh yes, we’ve all been there! But before you do anything too drastic, it might be a good idea to get some professional help…of the computer kind, of course! How do you choose from all of the computer service businesses in the Stark County, Ohio area? The answer is actually very simple. And after an irritating day with your laptop or desktop, you could certainly use simple! PCMS Computers in North Canton, Ohio can provide the software or hardware help you need, at a price you can afford! You can even get a free computer check-up for your Massillon, Ohio device! If you’re ready to do serious harm to your troublesome computer, it’s time to enlist the help of the experienced technical staff at PCMS Computers!